TDS employee Sarah Reister is an avid animal lover. Currently, her household includes Kero the chinchilla, Snakerdoodles the ball python, and Neko the Shiba Inu. When Sarah rescued Neko from a shelter in 2011, he had severe separation anxiety. Sarah tried everything she could think of to help Neko, but nothing seemed to calm him down. As a last-ditch effort, she decided to adopt another dog so Neko would have a friend to keep him company whenever Sarah and her husband left the house. 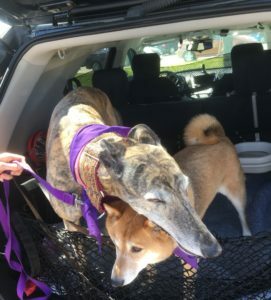 After attending a number of pet expos, the Reisters decided to adopt a greyhound because of the breed’s mild temperament. 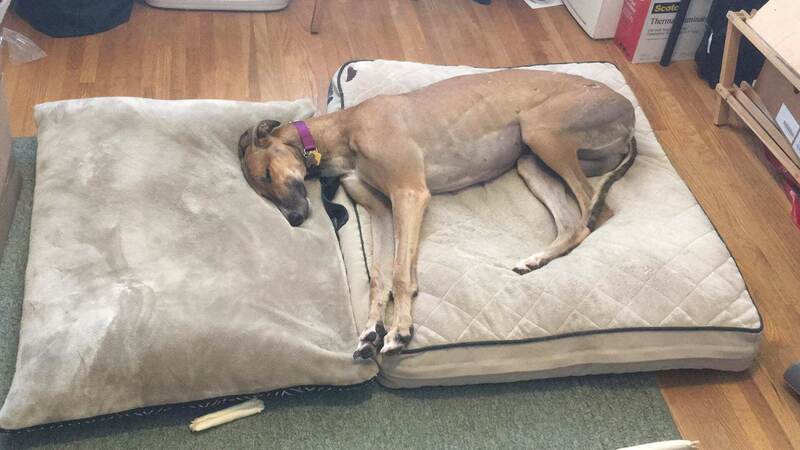 Even though greyhounds can run at incredible speeds, they’re generally laidback and like to relax—perfect for trying to help calm Neko’s anxiety. In 2012, the Reisters adopted a retired racing grey-hound from Greyhound Pets of America Wisconsin (GPA-Wisconsin), named Kona. With his new companion by his side, Neko no longer suffered from separation anxiety. Unfortunately, Kona passed away last December after a difficult battle with osteosarcoma (bone cancer). 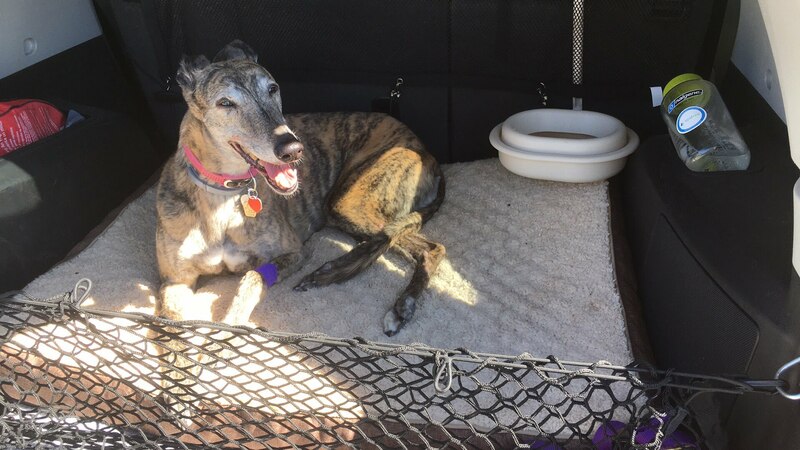 When the Reisters learned that osteosarcoma is very common in racing greyhounds, they decided they couldn’t go through the pain of losing another dog to cancer. Instead of adopting again, they became foster parents so Neko could still have a comfort companion and Sarah and her husband could continue to enjoy having a greyhound in the house. 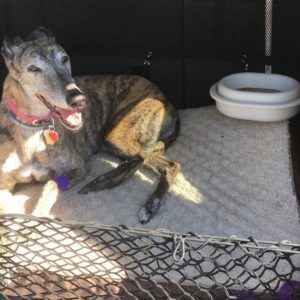 The Reisters fostered two greyhounds earlier this year—Bowie and Miss Kitty. Currently, they don’t have a foster dog in their care because they’re in the process of relocating from Wisconsin to Utah. If you’re interested in learning more about adopting or fostering a greyhound, check out the GPA-Wisconsin website for more information. Fun Fact: Greyhounds that are bred as racing dogs can sprint up to speeds that range from 39 to 43 miles per hour! Sarah said that at age 9, Kona was still able to run at a speed of 32 mph according to the results of a radar run test.